Hydra has only 3 cars on the island. Two garbage trucks which have crashed into each other, and an ambulance. As you can see from the previous photos, it’s not exactly flat here. 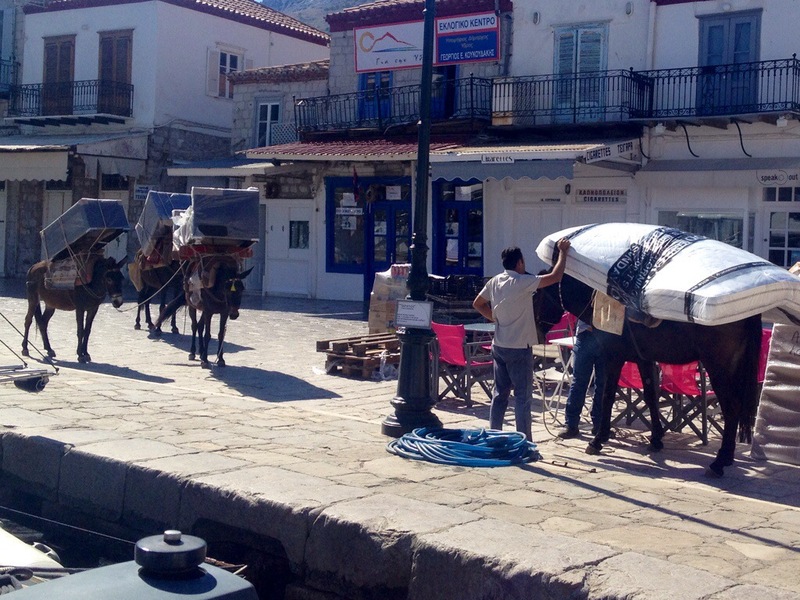 They use donkeys to carry their cargo… And to give tourists donkey rides.